Attention, arts and culture lovers: Please pause for a brief intermission. The College of Charleston’s Sottile Theatre is on hiatus for an extensive stage renovation. Since Feb. 25, 2019, when the theater closed for the work to begin, a legion of architects, contractors, project managers, crews and conservationists have been diligently at work to power through the sizable project. Final completion is scheduled for Spring 2020. And when the spotlights again shine, the results of the renovation will be nothing short of dramatic. When it reopens, students, faculty, staff and patrons alike will find many spiffier, stronger, state-of-the-art upgrades. 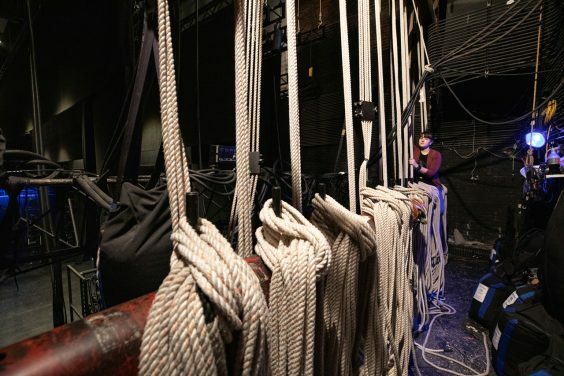 From the structural reinforcement of the stage to a modernized rigging system, the renewed and improved Sottile will have the capabilities to support the most inspiring and innovative works of performing arts from near and far. 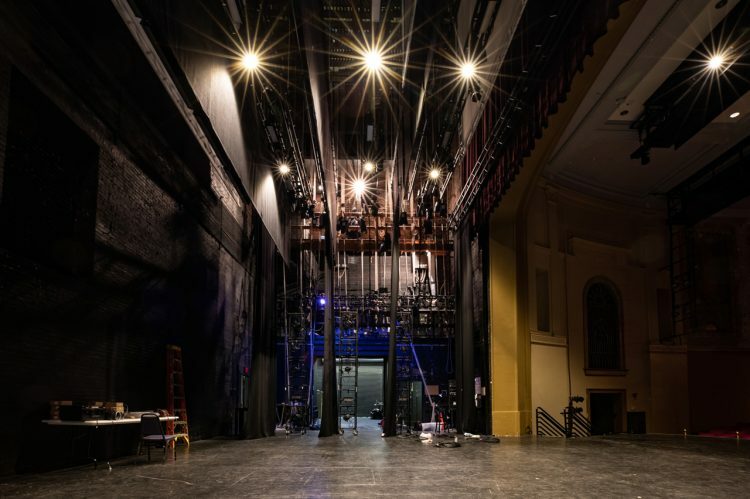 “The Sottile Theatre has been a pet project of mine throughout my tenure at the College, and I am glad we are able to address one of our campus gems,” says College of Charleston Interim President Stephen C. Osborne ’73. The $4.7 million project is funded by both institutional capital project funds and a private grant from the Spaulding-Paolozzi Foundation. Additionally, The Albert Sottile Foundation has provided designated support. Since Albert Sottile first welcomed Charleston audiences to then-called Gloria Theatre in 1927 for film premieres and touring vaudeville shows, the arts and entertainment hall has served as a vibrant venue that was once the largest of its type in South Carolina. Today, it is home to many of the College’s numerous cultural offerings, and is a regular avenue for local, regional and national performing arts groups. 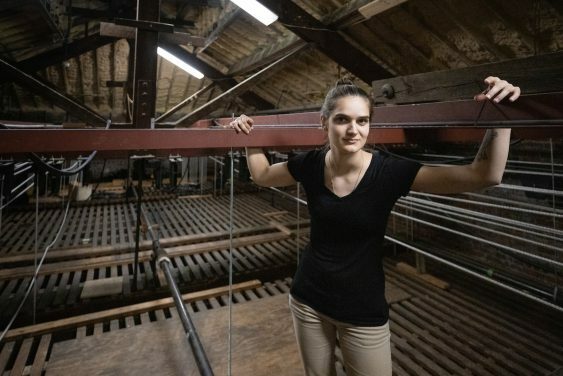 What’s more, the annual Spoleto Festival USA avails of the space, which accommodates 785 audience members, to mount internationally acclaimed productions, particularly works of dance and opera. With the renovations, presenters of this caliber will be able to use the hall for productions involving bigger sets and advanced technological demands. 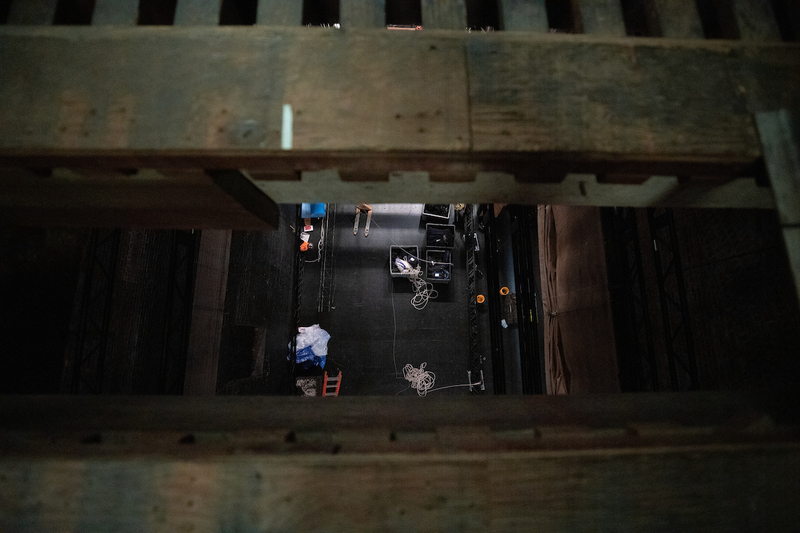 “The primary scope of this project consists of interior renovations to the stage, backstage, basement and theatrical elements of the theater,” says Matt Schram, project coordinator for the College. Additional repair work is planned for the audience chamber of the theater, including interior finishes and lighting upgrades. Backstage, various interior and exterior doors will also be replaced to improve acoustics and make better use of the floor plan. Openings will be created in the rear stage wall for an increase in overall stage and wing space. A stage flooring upgrade will consist of a new high-performance floor system that supports performers and dance movement within the space. 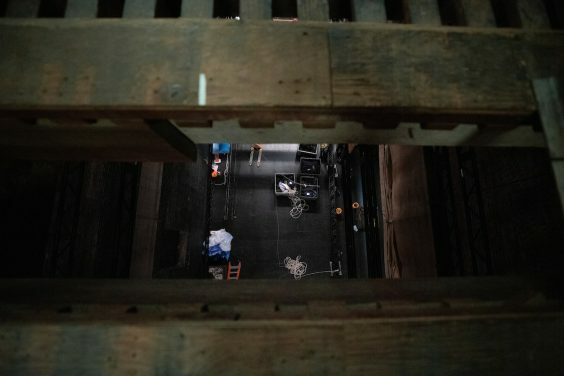 Additionally, a mechanical orchestra pit lift will be added below stage, which can be adjusted for extra audience seating. Of course, sometimes modernization means parting ways with old friends, such as the current hemp rigging system that is one of the few remaining in the country. 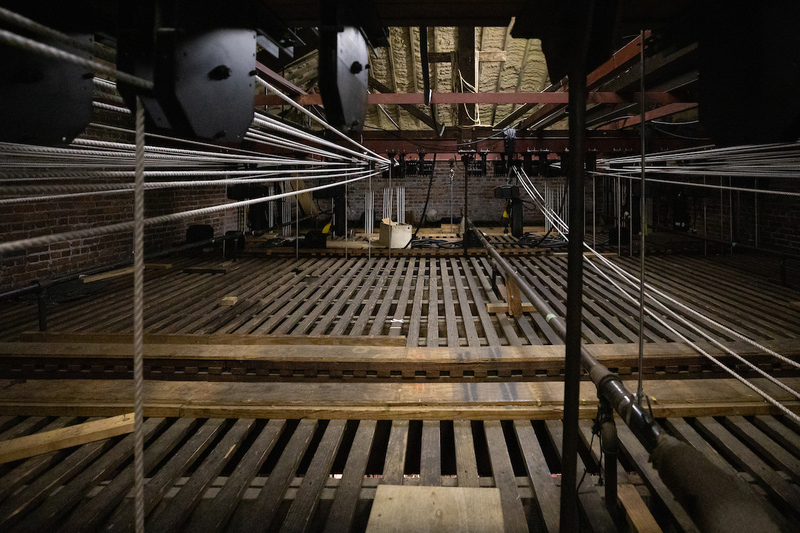 This will be replaced by a new, modern counterweight rigging system that will not only improve theater operations, but will enable students seeking instruction in technical theater production access to a more modernized system. The finishing touch of the effort will be the refurbishment of the theater’s two original classically inspired murals, which were commissioned by Albert Sottile. 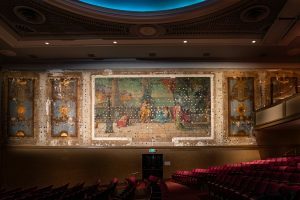 Long ago hidden and compromised by the installation of soundproof panels, the murals will be brought back to their original glory, thanks to the support of The Albert Sottile Foundation. Such a significant undertaking represents the College’s commitment to both preserving and modernizing Charleston’s beloved cultural destination. The private support the project has received is also a testament to the many individuals who value this treasured and storied theater. The view from the catwalk.